The American Revolution is finally over, and Sophie Menzies is starved for good news. When her nearest neighbor, General Seamus Ogilvy, finally comes home to Tall Acre, she hopes it is a sign of better days to come. But the general is now a widower with a small daughter in desperate need of a mother. Nearly destitute, Sophie agrees to marry Seamus and become the mistress of Tall Acre in what seems a safe, sensible arrangement. 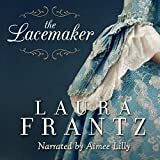 But when a woman from the general's past returns without warning, the ties that bind this fledgling family together will be strained to the utmost. When all is said and done, who will be the rightful mistress of Tall Acre? 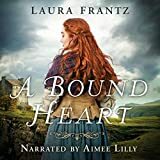 Triumph and tragedy, loyalty and betrayal - listeners can find it all in the rich audio presentation of this newest historical novel from the talented pen of Laura Frantz. Her careful historical details immerse the listener in the story's world, and her emotional writing and finely tuned characters never cease to enchant fans both old and new.